Discussion in 'Forza Horizon 4' started by GTPNewsWire, Oct 9, 2018. 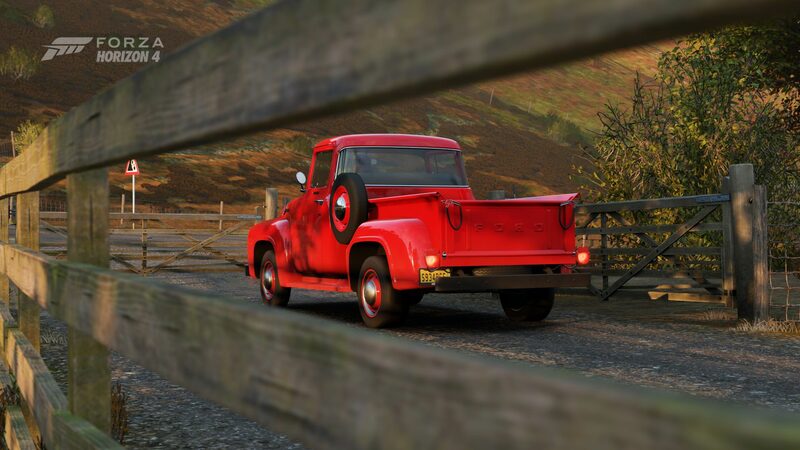 This article was published by Joe Donaldson (@Joey D) on October 9th, 2018 in the Forza Horizon 4 category. Buy the Miura, spend skill points for the Reventon FE, sell it, then sell the Miura too = 900k+ in the bank. My question is how do these people beat me at the end of the auction? Here’s what happens. My bid will be accepted and I’ll be winning the auction during its last minute when it says “ending soon”. Then someone will bid as the auction ends resulting in me losing the auction/car and me having to collect my credits spent on the auction. My question is how do these people know when to bid so they get the final bid right before or as the auction closes. This has happened countless times. I’ll admit it’s a bit frustrating but the Auction House is eat or be eaten. I just need to learn this strategy/method I fall victim to. It's hard to say, but it's probably a combination of luck and internet connection. During the Ending Soon period, everytime you bid some amount of time is added on to the auction to prevent sniping. There's no consensus on this, but it's somewhere between 15-30 seconds of extra time. The best thing to do is continuously refresh the "My Bids" title by going in and out of it quickly. Then press Y to make a bid as soon as you see that you've been out bidded. I win probably 90% of the auctions using the method I outlined in the article and I typically score the cars for less than 50% their list price. It's probably why I hardly ever have more than 500,000 credits in the bank at any given time. The Miura is really a bad choice to buy. 90% of the Miuras have the Reventon FE perk already unlocked (same for the Maserati 300S). I wish the AH screen would shown the amount of perks already unlocked. During the Ending Soon period, everytime you bid some amount of time is added on to the auction to prevent sniping. There's no consensus on this, but it's somewhere between 15-30 seconds of extra time. My experience is totally different. I had never ever saw a time added when placing a bid. Now I just count the seconds as soon I see the Ending Soon message and 90% of the time I win the auction.. ok, maybe 70%. Weird. I wonder how it actually works? I've experienced the adding of time when I've used my phone as a stopwatch. I wonder if it varies by car or if it's just completely random? I really don't know how exactly works. Also saw a lot of people on the official forum mentioning they have the same experience as I do. The AH on FH3 worked the way you describe in the article. But here does not. Again it's not only my experience.. but I'm really not sure anymore what is going on. Also because often my internet start lagging right when I need to place the bid.. The best time to sell is on the weekends, and typically the best time to look for a good deal is during the week, in my experience. If you have a very rare or more expensive car that you're thinking of auctioning, search for the car in question and see how others are doing trying to sell it. You're better off setting the starting bid at the lowest, especially if the car in question is from a wheelspin, as you'll be making a profit if a bid is placed. It also sometimes helps if you upgrade the car a bit (usually to the top of its stock class) and give it a tune, as the buyer may see it and think that the car will be cheaper in the long run. If you have a car that is so rare that there a literally 0 listings for it, then you can jack up the buyout price, as you basically control how much it goes for. Also make sure to give such cars a 24 hour timeslot. Chances are cars that are that rare will go quickly anyways, but you greatly increase the chances that someone'll see the car and buy it. Time-sensitive cars, such as the Forzathon-exclusive cars, tend to be more valuable later on, as the challenges to get them are gone, and it's unknown if/when they'll return. Right now I have a second 812 Superfast in my garage, which the game values at 1.4 million credits. Right now the 812 is doing pretty badly on the AH for obvious reasons, but I'm willing to bet that changes in 1-2 weeks time when the supply for said car goes way down. It's slightly scummy, but it works. Related to the previous point, but also be reasonable about you auction prices. Unless you have a car where there are literally no examples of it on the AH, you want to make your car stand out as being a good deal. For instance, I once won a 650S out of a wheelspin, which normally retails in the autoshow for 420,000 CR. After putting on the LBW preset, I discovered I didn't really like it, especially given that I already have the 720S. Put it up with a buyout of 300,000 CR, and it was gone within 2 minutes. Prioritize your auctions!!! You can only auction 10 cars a day, so plan out which cars you want to auction during the day. If you have a car that you won out of a wheelspin that you really don't care for, always try and sell it at the lowest possible bid and a low-moderate buyout. Since you got it for free, you'll always be making a profit, and since the car is set at a lower buyout price, chances go up that someone will just buy the car outright. Congrats, you've cleared space for a more desirable vehicle and have made a small profit to boot. Finally, never be afraid to back out of an auction if the prices start to go a little high. Even if you can afford it, try and set a point where the deal is no longer as attractive. Also think to yourself "how much could I realistically sell this car for if I don't end up liking it?" If the bid is approaching or exceeding this threshold, collect your credits and move on. It's frustrating, but chances are you'll get lucky soon enough! In FH3 it added another 60 seconds to the time if I recall correctly. In here, it seems like if another person bids within the ending soon time, my bid won't register and next time it updates I've lost. On that note, I greatly appreciate the tip about refreshing the my bids page,as I never thought of that. If I had to guess, it may be within a specific range (like 30-60 seconds) that varies depending on how busy the auction is. Just a theory though, I've no way to really prove that. It appears they change that to 24 cars a day as someone on the official forum mentioned. I already auctioned 15 cars today so it's true.. I guess. FH3 added a minute every time someone bid, and had never ending auctions. FH4 either adds a small amount of time, or doesn't add time at all. I have to spend more time and try timing it, but "ending soon" should mean 59 seconds left. Can you win the Toyota Baja truck in-game at all (including Wheelspins) or does it have to be bought? I actually thought it was like a minute added. I guess it was just the suspense that makes it feel like the longest minute or 39 seconds ever. Can you win the Toyota Baja truck in-game at all (including Wheelspins) or does it have to be bought?. I'm afraid it's just a rare wheelspin prize. I’ll buy a Forza Edition Aventador for up to 5mil credits. I’m incredibly desperate.